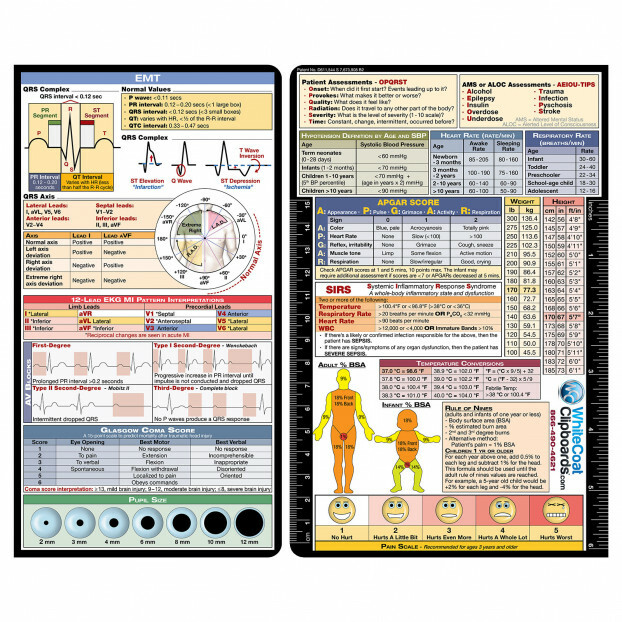 Get our EMT Label for your WhiteCoat Clipboard with the most daily used medical information by EMT's, First Responders, EMS providers. An essential resource for your clipboard, this label can be applied to any solid surface for referencing. This label includes information on taking patient assessments, burns (rule of nines, body surface area), pain scale, sepsis definitions, common labs and conversions with vital signs for infant to adults. Use the medical information on this label to help you diagnose AV blocks, ST elevation, pupil size and much more. Clipboard is NOT included. 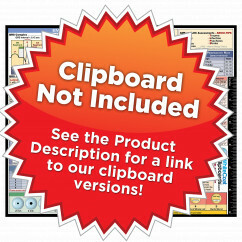 If you are looking for a clipboard with this label, check out our EMT Edition WhiteCoat Clipboards here!